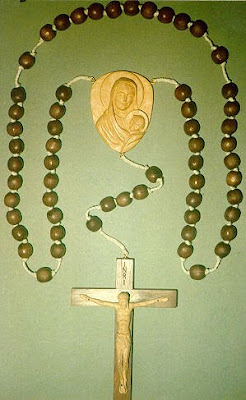 A large rosary designed to be used by a school class. The cross is approximately 8 inches tall made from walnut with a carved basswood figure. 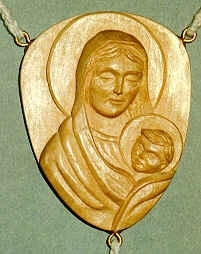 The medallion is carved from basswood. The beads are custom made from walnut for this piece. Close up of the medallion. 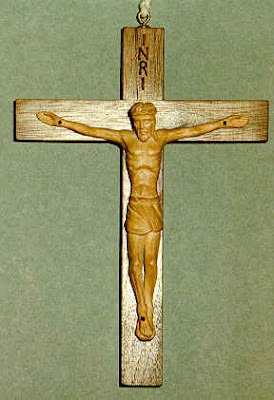 Close up of the crucifix.